As a parent, one of your main responsibilities is to buy clothes for your son. However, in a world where there is no such thing as a universal sizing standard observed by all apparel manufacturers, this seemingly easy task is actually no cakewalk. And so, to help you determine your little boy’s clothing size with ease, this page provides you access to different size charts of various clothes and apparels for boys. Clothing sizes for kids are usually based on age, height, and weight. However, the best way to find the perfect fit for your son is to get accurate measurements of several key areas of his body such as the chest, waist, hip, inseam, and height. You may also need to record your neck base and sleeve length measurements. Then, refer to a reliable size chart so you can determine the appropriate clothing size for him. As much as possible, refer to the published size charts of the particular clothing brand you plan on buying from. Generic size charts serve as a decent guide, but they may not be as accurate. To measure your son’s shoe size, trace the outline of both his feet on a sheet of paper. His foot length is from the top of the longest toe to the edge of the heel. The broadest part is the width. His shoe size must fit the larger foot. Buy shoes that have some wiggle room for your son’s toes so that his feet can breathe and roll freely in the shoes while he walks in them. A helpful trick is to add 0.5 – 0.7 inches to his actual foot length. Clothing sizes for kids are usually based on age, height, and weight. However, the best way to find the perfect fit for your son is to get accurate measurements of several key areas of his body. To do this, you need a cloth measuring tape, and when you take measurements, it is best to do it over bare skin or, at the very least, tight-fitting clothes. Chest. When measuring the fullest part of your son’s chest area, make sure he is standing straight, with his arms relax at his side. Leave a bit of room by adding an inch or so, depending on your or your kid’s preference. Waist. Measure your son’s natural waist – the smallest area of the trunk. This is usually found near the belly button area. Hip. Use a tape measure and wrap it around the biggest part of your hips. Add an extra inch or so if you want additional comfort and for ease of movement. Inseam. Begin measuring from your upper and inner thigh (near the crotch area) and bring the cloth measuring tape down to your son’s ankle. Height. Make sure your son takes his shoes off before measuring his height. Use a door frame as a measuring point so that he can stand straight. After you’ve successfully taken your son’s body measurements, it’s time to pick up a reliable size chart so you can determine the appropriate clothing size for him. Pro Tip: Make your shopping experience easier by keeping an updated record of your son’s body measurements on your phone or inside your wallet. But if possible, bring your child with you whenever you go shopping. He can just try on the clothes, and you’ll immediately know if they fit him well before you buy them. If you also need help with girls sizes, click here. Below is a sample clothing size chart for boys who fit regular sizing between the ages 3 and 13. Below is a sample clothing size chart for boys whose measurements are slightly bigger compared to regular sizing. Below is a sample clothing size chart for boys whose measurements are slightly smaller compared to regular sizing. Different standards, voluntary or required, are observed by different countries when it comes to classifying and labeling clothing sizes. In the United States, for example, children’s sizes are labeled according to age. Although slightly varied, the same applies in the United Kingdom and Australia. European sizing for kids, however, is a bit different. Size labels are based on the child’s height, not age. You will have plenty of opportunities to buy clothes from international brands who may follow a different sizing system from what you’re accustomed to. That is why many find international conversion charts helpful. 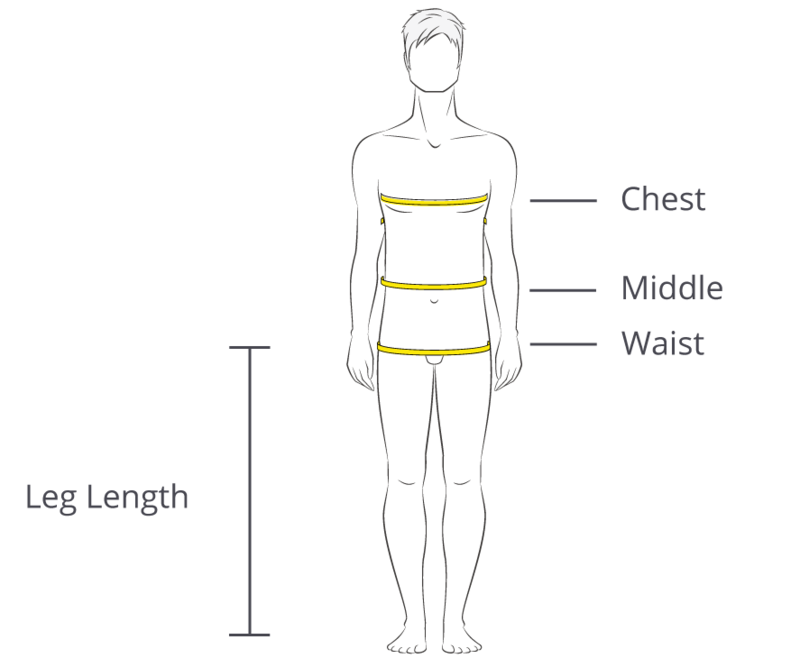 Should you decide to refer to one, it is recommended that you use a sizing guide that includes specific body measurements to get a more accurate fit. However, don’t forget that these conversion charts are not 100% successful in identifying your child’s clothing sizes in foreign brands. At best, they are just approximations. To find the perfect-fitting pants or jeans for your son, you need take measurements of his (1) waist, (2) hips, and (3) inseam. For his comfort and movement, add an extra inch where you think it best applies. Pro Tip: As much as possible, refer to the published size charts of the particular clothing brand you plan on buying from. Generic size charts serve as a decent guide, but they may not be as accurate. To know your child’s corresponding shirt or sweater size, measure the following body areas: (1) chest, (2) waist, and if it applies, (3) sleeve length. When measuring your son’s jacket size, you need to record his (1) chest, (2) waist, and (3) sleeve length measurements. Pro Tip: Purchase clothes that are one size larger than your son’s actual clothing size. Growth spurts are inevitable in children, and it’s best to buy clothing he can grow into than something he could soon outgrow. 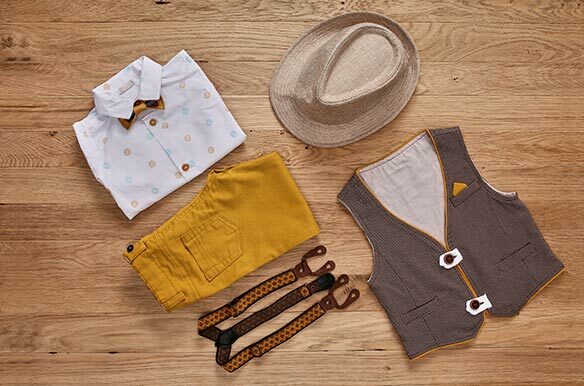 This way is cost-effective, and your child could get to enjoy wearing the clothes he likes for much longer. Before buying a suit for your child, make sure you have an updated record of his (1) neck base, (2) chest, (3) waist, and (4) sleeve length measurements. How to measure your son’s shoe size: Trace the outline of both your child’s feet on a sheet of paper. His foot length is from the tip of the longest toe to the edge of the heel. The broadest part of his foot is the width. You may notice that one foot is bigger than the other. In that case, choose a shoe size that fits the larger foot. Use these charts to find adult sizes. Pro Tip: Buy shoes that have some wiggle room for your son’s toes so that his feet can breathe and roll freely in the shoes while he walks in them. A helpful trick is to add 0.5 – 0.7 inches to his actual foot length. A more detailed discussion on shoe sizes for kids is available here.